Another factor that distinguishes consumer-level DSLRs and lenses from pro-level DSLRs and lenses is weather sealing. Every button and opening on your camera is an opportunity for dust, sand, and moisture to enter the camera. 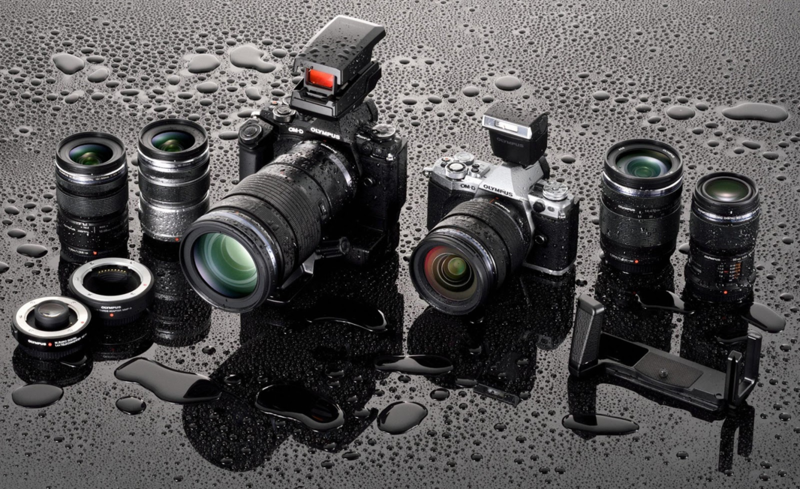 Pro-level DSLRs are designed to better keep these elements out, resist rain, and survive more serious bangs and drops. Most consumers don’t need that extra weatherproofing and durability. If it’s raining, the consumer will probably just leave their camera at home. If you’re a photojournalist or a sports photographer, however, you don’t have that option; you need to take pictures regardless of the conditions. Camera designers often have to choose between convenience and weatherproofing. For consumer cameras, the designers choose convenience. For professional cameras, the designers choose weatherproofing. That’s why consumer cameras have some cool features that professional cameras lack, such as articulating LCD screens and built-in flashes. Pro cameras also need to have every button and opening weather sealed, which adds weight and can make the buttons a little less friendly to use. Overall, I feel like most people overestimate the value of weatherproofing. A few drops of water on your camera are fine; it’s only a good soaking (such as leaving it out in the rain or dropping it in water) that will kill a camera. Carry a plastic bag with you, and if it starts to rain, put the camera in the bag. I should also add that weatherproofed or weather-sealed cameras are far from indestructible. Chelsea & I were caught in a flash storm while hiking a mountain in Glacier National Park. We had five cameras with us: a waterproof video camera, two weather-sealed Canon 5Ds, and two non-weather-sealed Panasonic GH4s. The waterproof camera survived, and the GH4s survived, despite not having weather sealing. Both the Canons were totaled beyond repair, despite their weather sealing. We were using weather-sealed lenses on the Canons. Two companies have decided to use weather sealing as a significant part of their marketing: Olympus and Pentax. However, these weather sealing marketing claims can be a bit sketchy. There’s no way for us to objectively test the weather sealing, so we can’t validate their claims. If your camera is ruined by weather, it won’t be covered by your warranty, so there’s not necessarily a financial penalty for the manufacturer if they can’t fulfill their claims.